From leak repairs, to new construction. From Custom Homes to Multi-family residences. From Commercial to Industrial. Find out what it is like to work with us by becoming one of our plumbing contractors. We are currently searching for qualified candidates to join our team. 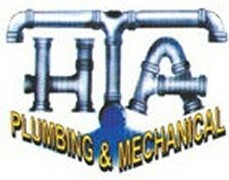 HTA Plumbing & Mechanical, Inc. Serving our customers for more than 15 years, we pride ourselves on being an Highly compitent ethical contractor that you can trust will have your best inerests in mind. We are and organized, disciplined organization, maintaining the highest quality and attention to detail. We recognize the need for quality workmanship and competitive pricing. We are a full service contractor and can meet all of your residential and commercial needs. Learn More about HTA Plumbing & Mechanical, Inc. Contact us to find out more about plumbing installation and repair work by our plumbing contractors.